“Do you play basketball?” is probably the second most common question I’ve been asked in my life. I guess it’s just part of the territory that comes with being a giant in the eyes of most other people. I’m 6’8″ tall. 80 inches. 2.03 meters. “Five-foot-twenty” if I’m feeling snarky when asked the most common question. This is my 14th year as a Stay At Home Dad and the one year anniversary of being a “dad blogger” and I’m laying claim to the dual titles of “Tallest SAHD” and “Tallest Dad Blogger” in the world. 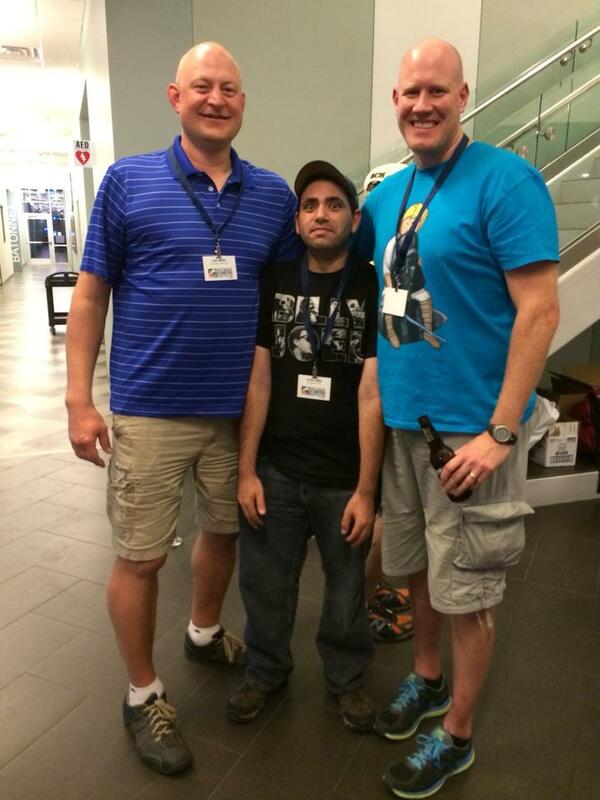 I’m friends with a couple of SAHD/DB guys who are 6’7″ but have yet to meet a guy who is taller. Please, prove me wrong. (Actually, don’t. I like my self-proclaimed titles!) At any rate, now that I’ve established my stature for you, let me tell you about some of the joys of being tall that you might not have ever considered. 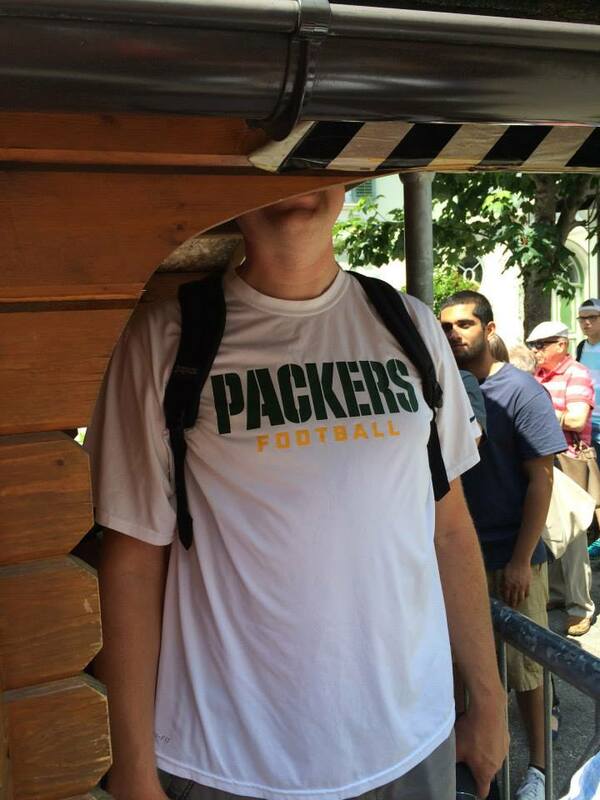 I didn’t fit under the eaves at this tourist spot in Germany, much to the delight of the rest of my tour group. How tall are you? Seriously. I get asked this question a lot. Maybe not every single day, but a lot. Complete strangers will see me and and feel free to inquire. I’m not ashamed of my height. In fact, I love being tall. But, could you imagine if people felt compelled to ask or comment about other bodily traits as freely as they do about height? How much do you weigh? How short are you? How big are your feet? Oh, wait, I get that last one a lot as well. Size sixteen if you’re wondering. It’s not that big considering how silly I would look with tiny feet. Makes going as a clown for Halloween much easier. I remember when I was 18 and at Opryland USA, a now-defunct theme park in Nashville, Tennessee, having my first experience of a complete stranger tapping me on the shoulder to ask about my height. I ended up chatting with the elderly couple for a few minutes while we waited in queue. Afterwards, my friends who were there with me (we were part of a Spring Break trip for our high school symphony) were incredulous about that exchange. Little did I know that it was the first of thousands of such experiences. It even transcends languages and cultures. Just this last summer, while on a three week trip to Europe with my daughter, a man came wandering through the platform in the train station in Munich, Germany, asking everyone for money. When I responded no (pulled the “I don’t speak German” excuse) he moved on but a moment later came back to me and gestured wildly about my height with a silly grin on his face. Do you play basketball? Not every tall person is also gifted with coordination. Or a competitive nature. Or coordination. Or desire to play sports. Or coordination. But, yeah, I do play basketball. And thanks, to my older brother who was always older (duh!) and a little taller than me (at least until I was 16 or so), I developed a decent outside shot. Which means I’m that big man who thinks he should step outside and shoot three-pointers instead of staying in the lane close to the basket where I belong. I really do enjoy playing basketball. But, due to a back injury from 7th grade football, I couldn’t play competitively in high school. In fact, I never played any sports in high school. Yet, while in college at the University of Wisconsin-Madison, I played pick-up games several times a week with and against many of the guys who were on the Badgers basketball teams (men and women) as well as football players. I love to play hoops. I even used to be able to dunk before I got arthritis in my knees and left foot. One time I even broke both my arms after making a dunk. (I’ll have to blog about that. It’s a good story.) But, back to the question. If you ask me if I play basketball, is it okay for me to ask if you’re a jockey or if you play mini-golf? School. Just because I’m tall doesn’t make me blind or deaf. I especially love walking into schools with my kids. The reactions of the other kids is hilarious. They see me and immediately start to point and then realize that might be rude. So, then they start to whisper to one another. He’s soooo tall! How tall is he? Is he (name of my kid)’s dad? Look! He had to duck under the door! It cracks me up because middle school kids are many things, but quiet isn’t usually one of them. Even high school students have weird reactions. Years ago I was a football game, waiting in line for concessions behind two girls who were getting their food. Upon completing their purchases they both whirled around quickly and started to walk only to notice that I was standing there. Instead of saying “excuse me” or something like that one of them exclaimed “Holy S#%& you’re tall!” and then ran off. I looked at my buddy and we both laughed it off. I’m mostly immune to it now, but if you’ve never walked next to a freakishly-tall person before you’d be surprised at how many people point and gawk at you as if you had a unicorn horn protruding from your forehead. Before my SAHD career I was a teacher. During my first day teaching 7th grade, a girl name Celia, a self-confident redhead, proclaimed that I looked just like the BFG. Since I hadn’t read the classic book by Road Dahl I didn’t know that the BFG was a “Big Friendly Giant” and that she meant it as a compliment. How’s the weather up there? Yeah, that’s original. How’s the weather by my armpits? I’ve been tempted to spit and say it’s raining. But, I’m not mean. When riding trains and buses in which I need to stand I am reminded that being tall can have its advantages. In many of those instances there’s a slight breeze of fresh(er) air that I can enjoy because I’m literally a head taller than everyone else. I remember a bus in Rome this summer that had one of those air vents on the ceiling and I got to stand directly underneath it. Actually, it was because of the extra few inches of that vent that I was able to actually stand up straight without hitting my head. Headroom is really a major issue for us tall people. When I’m driving I have to lean forward sometimes to see if the traffic light has changed since my eyes are much closer to the roof of the car than you normal-sized people. Doorways. Standard door frames are 80 inches. Yeah, I’m 80 inches tall. Without shoes. So, I pretty much have an automatic head-bob whenever I walk through a door. I’d rather bob and look silly than not bob and whack the top of my head. One time, about 10 years ago, I was bringing a basket of laundry to the basement when I forgot to bob. I literally scalped myself on the exposed beam. After spending a few minutes on the floor I finally stood up and saw a nasty collection of skin and hair that had previously been on the top of my head moments earlier. I wish that was my only story of head whacking on door frames or beams. Standard “legroom” for me when riding in an airplane. This was before the person in front of me leaned their seat back. Public transportation. Not designed with the freakishly tall in mind. Buses. I cannot sit on a standard school bus and face forward. The length from my hip to my knee is usually greater than the distance to the back of the seat ahead of me. Coach buses are not much better. And those seats recline. And you’d better believe that I’m calling shotgun if we’re taking a car somewhere. Unless there’s a bench in back that offers more leg room. And don’t even get me started on airplanes. Headroom? No. I usually have to walk to my seat hunched like Quasimodo so I don’t whack into the EXIT signs or overhead storage doors. I will always check to see who is seated in the emergency exit row seats and it seems like it’s almost always people who are short. And by short I mean anyone who is less than 6’3″. 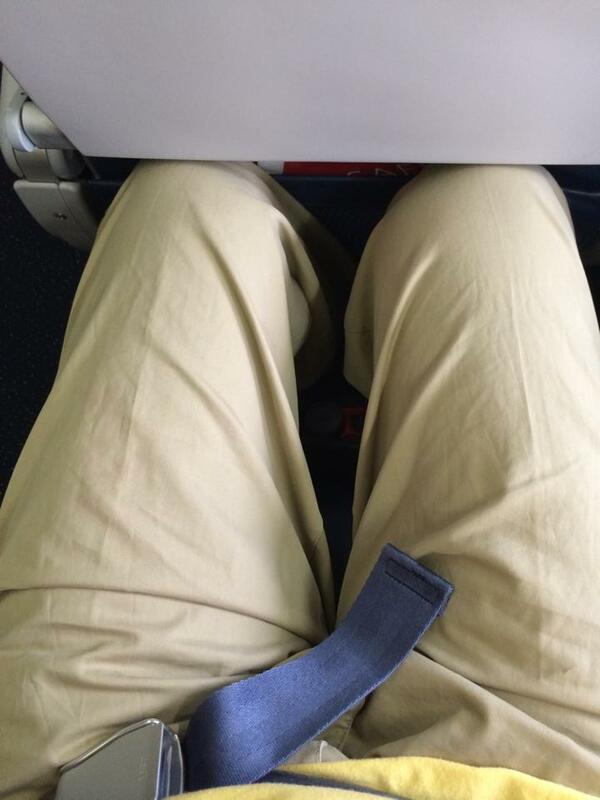 There should be a rule that tall people get the exit row seats before anyone else. Yeah, I know I could pay extra so that I could get that seat. But, I’m too cheap. Besides, it’s fun to sit on the aisle seat with one leg blissfully stretched out into the aisle…until it’s rammed at full speed by that bloody beverage cart. Excuse me, sir, please put your legs under the seat in front of you. How much time do you have? Since my leg won’t fit under the lowered tray table I have some rearranging to do. And those bathrooms. Do you have any idea how hard it is to try to pee standing almost sideways because some genius engineer thought it would be a brilliant idea to have the bathroom ceiling slant like that. And no, I can’t sit. My legs are too long to fit with the door closed. Good thing I don’t need to go #2. Theme parks. I waited with one of my daughters to go on a ride several years ago at the Mall of America. I think it was called Paul Bunyan’s Axe, but I’m not sure. Don’t even know if it’s still there. At any rate, for this particular ride, you had to sit down and a harness of padded metal bars came down over your shoulders and locked into place. Only, not for me. My torso was too tall. The bars hit my shoulder and there was no way for me to slouch down so the harness would fit. In countless roller coasters I’ve had the pleasure of contorting my legs uncomfortably so that the lap bar would hold me in place. None of that is as terrifying as riding a roller coaster and feeling the need to duck every time the coaster goes into a tunnel. Even though I know it’s not going to happen, it feels as though I’m going to get my head whacked off when the track goes under and through the wooden trestle. You better believe I’ll keep my hands in the car at all times. It was also pretty uncomfortable to ride some of the small kid rides at DisneyWorld with my daughters when they were younger. Hiking. You want me to be the leader. Not because I’m blessed with some superior skills. Nope. One word. Spiders. Okay, maybe two words. Spider webs. I clear the path of all spider webs. I catch the ones that most of you miss. You know, the big ones that drape across the trail between trees, about 75″ above the ground. I call that eye level. Nothing quite like walking through the woods and having to wipe off spider webs from my face and head. And, no, it doesn’t taste like cotton candy. On the other hand, spelunking may not be the best activity for me. I recently went with two of my kids to Ape Cave, a lava tube near Mt. Saint Helens in Washington. At several points during the hike I realized that I almost didn’t fit through some of the openings in the rock. I’ve been in other caves that had similar pinch points and/or low ceilings, which are far less forgiving than wooden door frames. I think caving is cool (cool, get it?) but I realize my limitations. Around the house. I’m your go-to guy if the lightbulb needs replacing. Or you need something from that top shelf. Or anything that would require a ladder or step-stool. Just call the tall guy over. He’ll be more than happy to assist you. I normally don’t mind helping you vertically-challenged people out. Just don’t be offended if I ask you to get something from a lower shelf, okay? I will admit that painting can be pretty fun because I don’t need a ladder to reach the ceiling of standard rooms. That said, I once broke a ceiling light fixture with my head. I mean, who puts a light directly outside of an elevator? I ducked my head to exit the elevator only to raise it into the fixture. Granted, it was on a cruise and not at home, but, still. If I recall, the cruise staff were pretty impressed by how I broke the light and several even posed for pictures with me. Counters are too low. Kitchen and bathroom. Cutting food for meals means that I either sit on a stool or risk making my lower back sore from bending over so much. And yes, like many tall people, I have back and knee issues. It’s the blessing and curse of being tall. My wife, a physician, says so sympathetically, “The human body wasn’t designed to carry such a large load.” Um, thanks, honey? Dating. When I was in high school I was researching for a report at the local library. (For those of you not old enough to remember, before the internet and Google and computerized everything, students had to actually go to a library to do research. We used things like card-catalogs and actual books and note cards. And microfiche machines.) While I was quietly minding my own business an elderly man (guessing mid-70s) approached me and looked me up and down and leaned in real close and half-whispered to me, “I suppose you go for tall girls, right?”. I kid you not. I didn’t know this guy and he was really asking me about my preference for tall girls. I think I stammered some sort of “Yessir” response that was enough to send him on his merry way, chuckling to himself for being so clever. I also recall the awkwardness of dancing with girls who were not very tall. At one camp in particular, a week-long co-ed camp for high school seniors-to-be who were interested in becoming teachers, there was a dance on the last evening. 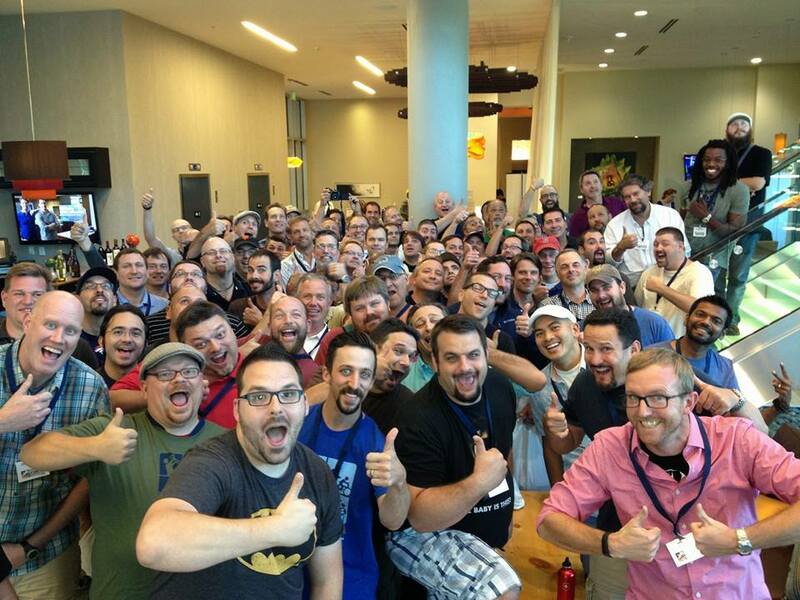 Of the nearly 100 attendees that week there were only about a dozen of us guys. Talk about the odds being ever in my favor! Needless to say, I had girls asking me to dance with them. And anyone who knows me knows that I can’t dance. I’ll try. I’ll embarrass myself. But. I. Can’t. Dance. But I can slow dance. That’s relatively easy and hard to mess up. Except if the girl is 5’1″ and the guy is 6’6″. (I grew 1 1/2 inches in college.) Then it’s a little on the weird side. Tough to dance without looking inappropriate. I love that my wife is 5’11”. Interestingly enough, people that knew her before we started dating thought that she was tall. Until they met me and saw me next to her. Guess what? I’m in the very back row! One of these is not like the others! Pictures. I’m always in back. I could probably wear only underwear and no one would ever know by looking at 95% of all group pictures in which I’ve been a participant. (Why can’t I write like I talk and not care about using a dangling participle?) “Line up shortest to tallest” is the easiest directive for this guy. Walk to the back and laugh at everyone eyeing up who is taller/shorter. I’ll be in back. Always. I also sometimes forget just how big I am compared to “normal” sized people. Just last month at the NAHDN Convention in Denver I had the opportunity to mingle with over 100 other SAHDs from around the U.S. and Canada. My buddy Chris (SAHD and blogger at DadNCharge) is 6’7″ and we decided to take a picture with our friend Lorne (SAHD and blogger at Raising Sienna) at the request of his family. Lorne isn’t tiny as much as Chris and I are really, really tall. We literally dwarfed poor Lorne. After more than 20 years of being so crazy tall, I guess I sometimes forget that I’m probably the tallest person most people actually know. Sure, you might see a random really tall person somewhere or on TV, but to actually be right next to that person and interact with him/her is a bit different. I hope you don’t get the wrong message about being tall. I absolutely love it. Sure, there are challenges in being crazy tall. I didn’t even discuss stuff like buying clothes, driving cars, finding “hidden” junk on top of people’s fridges, accidentally crashing into others with my long limbs, having tall kids, and the expectation of leadership just because I’m tall. It comes with the territory, I suppose. As a people-person I love that my height can serve as an ice-breaker and I often see the humor in such encounters with people I might not otherwise interact with. (I left it dangling!) I know that this post was really long, but, considering the source, you would’t expect anything shorter, right? If you made it this far and found this post even remotely entertaining and worth your time, please consider leaving me a comment, liking it or, gasp, sharing with your friends. Thanks! While watching the last few minutes of a lopsided victory by the Green Bay Packers over the Minnesota Vikings I heard the announcers talking about the short break the players were going to have this coming weekend since their game was played on a Thursday instead of the usual Sunday or Monday. One of the guys, Phil Simms, a former quarterback for the New York Giants, mentioned that the Vikings’ QB, Christian Ponder, was going to be “babysitting” his daughter, Bowden, since his wife, Samantha Ponder, is a host for ESPN College Gameday every Saturday. The banter between Simms and his broadcast partner, Jim Nantz, continued as they enjoyed a little chuckle discussing Mr. Ponder babysitting his 12-week old daughter. Did you catch what they did there? While trying to sort of compliment him for caring for his own child they made a little bit of a dig at fathers, even if it wasn’t intentional or malicious. Dads and moms don’t babysit their own children. Never. What they do has a term already. Yeah, you guessed it. 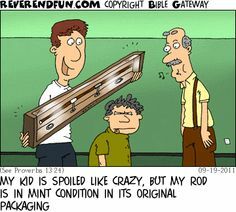 PARENTING! 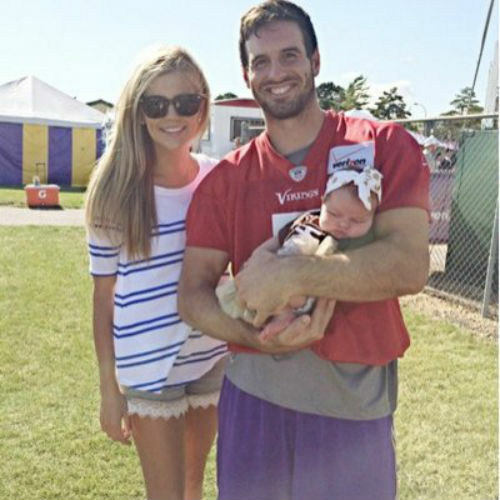 Samantha and Christian Ponder and their infant daughter. She’s an ESPN reporter/host and he’s an NFL QB for the Minnesota Vikings. Some of you more cynical types might be wondering why this is an issue to me. After all, who really cares? Glad you wondered. What Simms and Nantz basically did was further the stereotype that dads who care for their own children are nothing more than babysitters. It’s an insult for any parent to be called a babysitter when he or she is actually being a parent. I did enough babysitting in junior high and high school to know the difference. Based on the reactions I saw on Twitter after the game finished I wasn’t the only one who noticed the babysitting comment. Other people were quick to point out the poor word choice by Mr. Simms. On a personal level, this is important to me because for the last 14 years I have chosen to be a full-time Stay At Home Dad for my children. I’m not a babysitter. I’m their dad. I “retired” from my teaching career after six years to move into an even more challenging career as a SAHD. Yes, I said career. This isn’t some part-time gig I do to make extra money to go out with my friends. I don’t get paid. At least not in cash. This is what I do. What I choose to do. What I get to do. I parent. All day. Every day. 24/7/365. Even when I’m not physically with my family I still parent through the wonders of modern technology like texting and FaceTime. Yet, I continue to love my career choice and thank God every day for the opportunity I have to be at home with my children. It’s not a chore. It’s my choice and my passion. Yet, I’m not offended by what they said. I’m a pretty laid back guy. This wasn’t offensive. Offensive is using derogatory terms that I’m not comfortable saying or typing. What I’m feeling is disappointed. I’m disappointed that these guys chose to use that term to describe something that is so near and dear to me. About the only good thing is that they stopped short of using that hilarious term “Mr. Mom”. When they had the opportunity to recognize and applaud Mr. Ponder for spending his upcoming days off with his infant daughter they instead diminished it with a single ignorant word. I’m not demanding or expecting an apology from those announcers. That would be ridiculous. But I am calling them out on their choice of words. Such ignorant comments are way beneath them. This is, however, an opportunity to educate them and everyone else about the difference between babysitting and parenting. Babysitting has an end point. The parents come home, you get paid, and then you go home. It’s not parenting. Parenting starts the moment you first realize that you’re going to become a parent and then it never ends. Once a parent, always a parent. To paraphrase my fellow SAHD, blogger and friend Doug French, We still have much work to do. We need to get the message out that being an active and involved parent is a good thing. It’s what should be the norm. It should be celebrated and not mocked. Being a parent is the most rewarding and frustrating and exhilarating and awesome and terrible and joyous experience all in one. Keep calm and Daddy on!